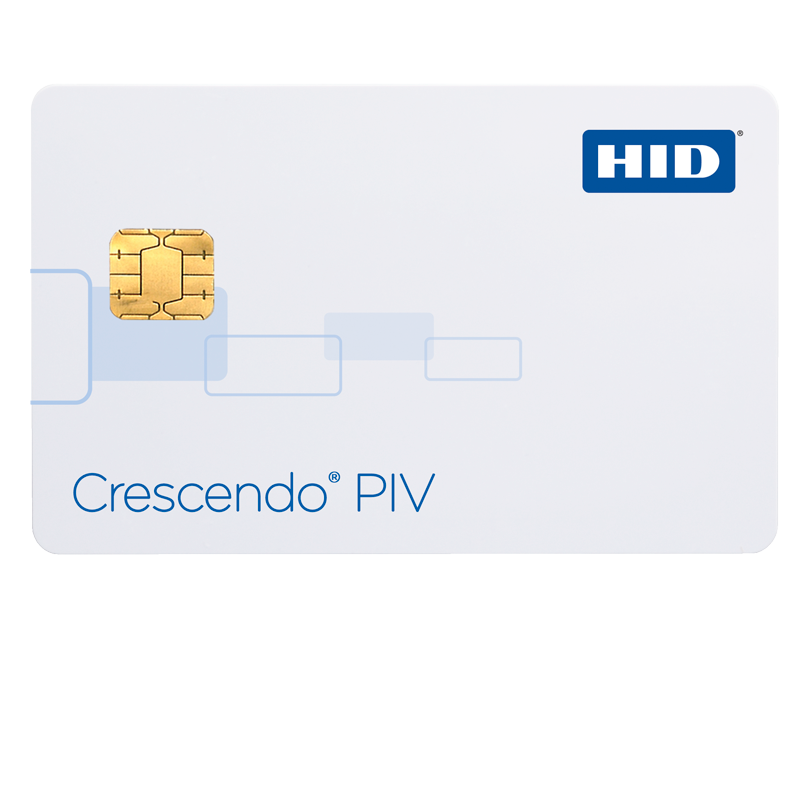 The Crescendo PIV is a dual interface smart card that has been designed to be compliant with FIPS 201 specifications and can be used to issue PIV, PIV-I and CIV credentials for employees, contactors and other users as part of the HID Global PIV Express and PIV Enterprise solutions. Government agencies and private enterprises looking for the highest level of security and interoperability can leverage the Crescendo PIV smart card to protect the identities of their people when accessing facilities and IT systems. 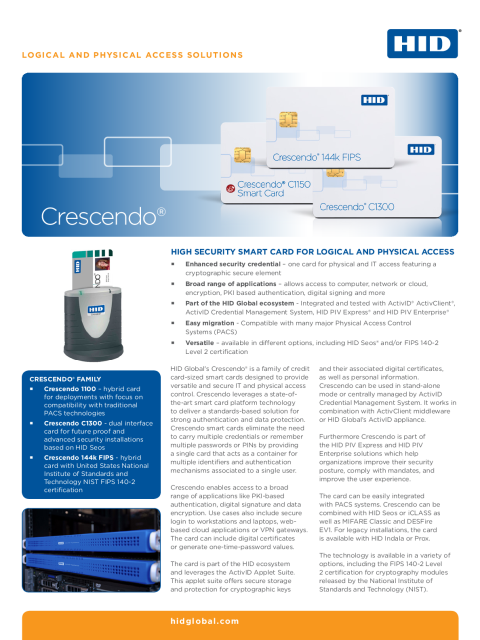 Crescendo PIV smart cards enable access to a broad range of applications like PKI based authentication, digital signature and data encryption and physical access. Use cases also include secure login to workstations and laptops, web-based cloud applications or VPN gateways. Crescendo PIV has a NIST FIPS 140-2 Level 2 security certification, NIST FIPS 201 interoperability certification, is listed on the US General Service Administration FIPS 201 Approved Product List and has optimized performances for faster physical access using digital certificate. As part of the Crescendo card family, this credential is designed for high performance and durability. It is made of composite PET/PVC plastic that can be printed in Fargo DTC and HDP smart card printers and is offered with standard 5-year warranty.